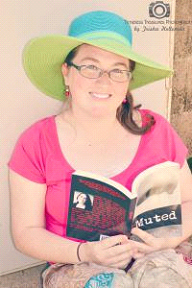 Kayla I. Shown-Dean has published her first novel, Muted, and a collection of poetry, Autumn Leaflets. She is also a blogger and regular contributor to shortfictionbreak.com. Kayla is also a member of White County Creative Writers, and she attends the annual Writer’s Retreat at the Hemingway-Pfeiffer Museum. In addition to writing, Kayla holds down a full-time job at a local university, and teaches English part-time as an adjunct. She lives with her husband and son, who is a preschooler. When she has free time, she enjoys reading, writing, blogging, painting, drawing, and singing.